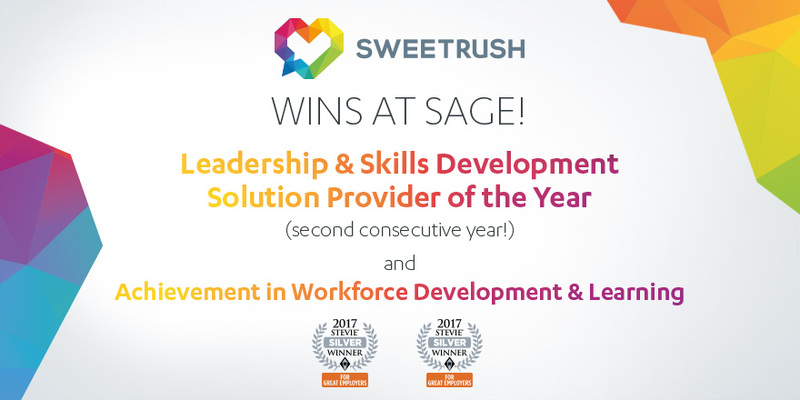 San Francisco, Calif., October 5, 2017 — The Stevie Awards for Great Employers recently announced its 2017 winners, and SweetRush was recognized for the second straight year in the Leadership or Skills Development Solution Provider of the Year category, earning a Silver award. For its collaboration with client-partner Bridgestone Americas, SweetRush also received a Silver award in the Achievement in Workforce Development and Learning category. The Stevie Awards for Great Employers recognize the world’s best employers and the human resources professionals, teams, achievements, and HR-related products and suppliers that help create and operate great places to work. More than 500 nominations from organizations around the world were submitted this year for consideration in a wide range of HR-related categories. Find the complete list of 2017 winners at the Stevie Awards for Great Employers website. Dream for a moment that you have the expertise and tools to positively impact the lives of others. You can affect mind-sets and behavior. You can help an organization grow, change, prosper, and thrive. The passionate pursuit of this expertise and the development of these tools have been at the heart of the success SweetRush has experienced collaborating with clients who share the same dream. SweetRush’s focus on team culture and mastery of performance improvement is reflected in loyal clients, a near-zero turnover of teammates, a 15-year track record of success, and a remarkable portfolio. Our work with clients has earned us gold awards from our peers and high ranking on the top training industry lists. Every solution we deliver is infused with creativity. Instructional creativity allows us to discover effective and unique solutions to our clients’ challenges. Artistic creativity spurs us to create visually exciting, engaging user experiences. Technical creativity allows us to embrace new capabilities and platforms as they emerge, such as gamification and mobile delivery. Cultural creativity empowers our clients to create the conditions that energize and empower their people and unleash the energy in their teams. Our Talent Solutions team applies the lens of creativity, building upon its unique knowledge of talent, team building, and learning and development, to craft a unique solution for clients who need the best temporary staff to augment their team. We apply the creative lens to all things, from project management to our treatment of our teammates, clients, and the planet. We are over 100 people strong and have been in business since 2001. Every day, we give thanks for the trust of our world-class clients. Our deliverables span from analysis and curriculum mapping to the creation of blended training products, including live and virtual classroom training and the gamut of custom-developed eLearning modalities. Dream with us, and together let’s make a positive impact! Stevie Awards are conferred in seven programs: the Asia-Pacific Stevie Awards, the German Stevie Awards, the American Business Awards, the International Business Awards, the Stevie Awards for Women in Business, the Stevie Awards for Great Employers, and the Stevie Awards for Sales & Customer Service. Stevie Awards competitions receive more than 10,000 entries each year from organizations in more than 60 nations. Honoring organizations of all types and sizes and the people behind them, the Stevies recognize outstanding performances in the workplace worldwide. Visit the Stevie Awards website to learn more.